PICO RIVERA – After falling from the top spot last year, Zapien’s Salsa Grill and Taqueria, 6702 Rosemead Blvd., is again No. 1 in the appetites of Los Angeles area diners. The family owned restaurant was named the “Best Mexican Restaurant in Los Angeles” in a viewer-voting contest called MyFox L.A.’s Hot List featured on the local Fox Network affiliate KTTV (Channel 11). “I guess our patrons voted more often this year,” said restaurant chef and co-owner Marco Zapien, 43. The contest rates hundreds of businesses in different categories. Zapien’s, which won the award in 2007, finished in second place last year. “It’s great to be named No. 1 again,” said Zapien, whose business partner in the 15-year-old restaurant is his father, Jess, 70. “It’s quite something to be named the best Mexican restaurant, especially considering how many there are in the Los Angeles area,” he said. Marco Zapien, who was born and raised in Pico Rivera, was inspired to become a professional chef by watching his dad, mom and grandmother cook when he was a child. “Those were the best dishes,” he said. 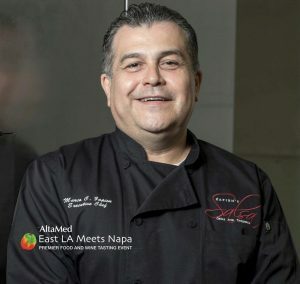 After graduating from the Los Angeles Culinary Institute, Zapien has been head chef at Edison International Field, home of the Los Angeles Angels of Anaheim, Dodger Stadium, Staples Center and other sports and entertainment venues. He likes serving fresh creative dishes in the city where he grew up and still resides. “People I grew up with and have known all my life are some of our most loyal customers,” Zapien said. Tom Neal, 43, of Orange County, said the fresh ingredients in the “great authentic” meals has kept him coming back the past three years. For the seventh year, Chef Marco Zapien is hosting a Hatch Chile interactive cooking demonstration, Hatch Chile roast and Hatch Chile brunch. Every summer, New Mexican Hatch Chiles are ripe enough to enjoy and Chef MZ is making a late summer celebration out of it. The cooking demo on Thursday, Aug. 10 from 6 -8 p.m. is where participants will learn how to make items such as roasted Hatch Chile Tortilla Soup, Hatch Chile Enchiladas Suizas and Hatch Chile Verde. The later is a special recipe as Chef MZ’s Chile Verde was just voted the best in Los Angeles by the L.A. Times. Now imagine it with a twist of Hatch Chile. Recipes for seven different Hatch Chile dishes, including dessert, will be demonstrated and then served for all to enjoy. Class goers will take home recipes and step-by-step directions. The cost is $45 per person, click here to view menu, and here to reserve your spot. This year’s Hatch cooking demo will give class attendees a taste of what the Hatch Chile roast is all about; Chef MZ will do a live roast at the cooking demo. And what would a cooking demo be without a raffle – the raffle prizes are cases of roasted Hatch Chiles. The parking lot in front of the restaurant will be filled with roasters and cases of chiles on Saturday, Sept. 9 beginning at 8 a.m. The Salsa Grill has worked closely with Melissa’s Produce to ensure the most flavorful peppers for the roast, cooking demo and brunch. Reserve your cases of Hatch Chiles here. Chef MZ’s Hatch Chile brunch is also on Saturday, Sept. 9 from 9 a.m. to 2 p.m., and includes a complete Hatch Chile inspired menu. Each adult brunch includes Champagne and Mimosas. 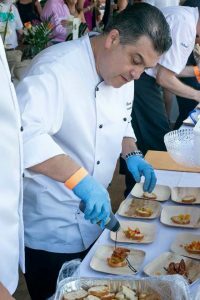 Chef Marco Zapien will be one of the acclaimed chefs participating at the 2017 James Beard Foundation’s Chefs & Champagne on Saturday, July 29 at the Wolffer Estate Vineyard in Sagaponack, New York (Hamptons). Chef MZ will be representing Melissa’s World Variety Produce, where he is a long-time consulting chef. Along with Chef, Tom Fraker, he will be sampling Endive Leaf with a heaping scoop of Dungeness crab, topped with Hatch Chile Salsa. Zapen is one of about 40 chefs, beverage masters and artisanal purveyors featured, along with flowing Champagne and Wolffer Estate wines. The Chefs & Champagne main event will take place from 6 to 8:30 p.m. on Saturday, July 29, and is open to the public—reservations are $200 for James Beard Foundation members and $275 for non-members. General admission includes all tastings, silent auction bidding opportunities, and a gift bag. VIP premium admission, beginning at 5 p.m., is $375 for James Beard Foundation members and non-members. Reservations can be made by calling (212) 627-2308 or at jamesbeard.org/chefsandchampagne. Zapien’s Salsa Grill is participating, for the fifth straight year, at East LA Meets Napa Friday, July 28 at LA Live. The event gathers 80 of Los Angeles’ top restaurants and premium vintners, including The Salsa Grill. Chef Marco Zapien and his team will delight guests with their Posole Tostada – all the elements of posole on a tostada. The dish includes shredded pork, hominy, lime juice, pickled onion, cilantro and radishes served on a crisp tostada shell. The food and wine festival also features live entertainment, including OZOMATLI and Poncho Sanchez, and a celebrity lounge. Proceeds from the event help uninsured patients get primary health care. AltaMed is the event organizer. Zapien’s Salsa Grill & Taqueria made the Los Angeles Times’ top 5 list for the best Chile Verde in Los Angeles. The list came out online on Thursday, May 25. 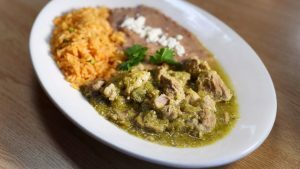 The article noted the different ways The Salsa Grill and Chef MZ serve their tender, braised pork in chile verde, including their most well known dish, Dionico Morales’ Favorite. The dish is available as part of the Traditional Dishes dinner menu – a tribute to a great man and regular – and includes choice of Chile Verde or Chile Colorado, beef in red sauce. The restaurant also has a Chile Verde Burrito available all day and a lunch special featuring the signature item. “The Mayor” merges another Salsa Grill favorite, red enchiladas, and Chile Verde. It’s named after a local council member. Click here to view The Salsa Grill’s menu. All Traditional Dishes are served with fresh, handmade Tortillas. Lunch specials and Traditional Dishes are served with beans and rice. Get over to the Salsa Grill and enjoy some delicious Chile Verde. This year’s Mother’s Day essay writing contest hosted by The Salsa Grill invites students to share why their mom is the best. Beginning now and continuing through Sunday, May 8, The Salsa Grill is asking writers ages 7 through 13 to submit an essay up to 250 words answering the question: “Why is your mom the best?” The younger participants are encouraged to include an illustration with their essay. The grand prize winner of The Salsa Grill’s 5th-Annual Mother’s Day essay writing contest will receive a Massage Envy gift card to give their mom on Mother’s Day, Sunday, May 17. In addition, The Salsa Grill will provide the winners with a restaurant gift card and special treat bag for mom. 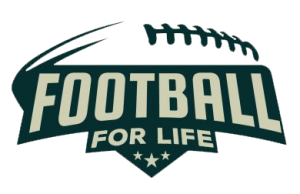 Winners in two age categories – ages 7 through 10 and 11 through 13 – will be announced on Wednesday, May 13, with enough time to coordinate pick up ahead of the holiday. With its focus on education, the Salsa Grill’s Mother’s Day essay writing contest is a recipe for success. The Salsa Grill partners with local private and public schools all year to involve students in other programs and events, including The El Rancho High School Mentor/Mentee program, where Chef Marco Zapien speaks semi-annually to aspiring chefs. The goal of the essay contest is to involve the local youth and help them forge a path to success. Good luck to all the participants! Click here for more info. Zapien’s Salsa Grill & Taqueria will be bringing joy to those in need this holiday season. The restaurant is currently running its sixth annual gift drive. Running through Thursday, Dec. 22, all unwrapped toys donated will be delivered to Saint Hilary Church in Pico Rivera to less fortunate families, with teens and children, just in time for Christmas. Chef and owner Marco Zapien works closely with the church by giving his time all year long by donating, providing food, and catering to those in need. This holiday season is no different as Chef Zapien will provide his own bundle of gifts and toys to donate to be shipped off to the church. Last year the amount of gifts collected was just shy of 200. The restaurant is hoping to exceed that this year.